5 FT Weeping Willow Tree With 8 Functions 240 Green LED lights- Xmas Decoration. This is perfect for Christmas Decoration 240 Green LED lights. 8 Functions Selection. Cheapest on eBay! 5000 already sold! Free Storage Box! 6FT GREEN GLITER TIP TREE. (6ft) tree, diam. Tree in photo is a 8ft. EX DISPLAY ITEM, BOX TATTY. (5ft 240 LED Green Weeping Willow Tree with 8 Functions Outdoor Garden Christmas Tree. Light up your garden with this decorative Weeping Willow Tree. 3) Slow Glow. 240 Green LED lights. With 8 Functions as below. 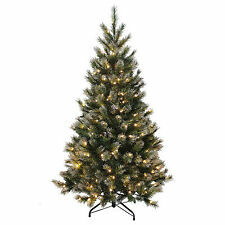 PRE LIT Deluxe Black Lovely Full Christmas Tree LED , 4ft / 5ft / 6ft Xmas ! Cheapest On Ebay! FREE DELIVERY! This outdoor cherry tree is 8 feet high, and is perfect for Christmas celebrations, garden decor, or in any indoor setting. When the 600 white LEDs light up, they will create a magical ambiance right where you are. 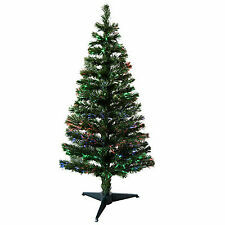 7FT BLACK GLITER TIP TREE. (7ft) tree, diam. EX DISPLAY ITEM, BOX TATTY. 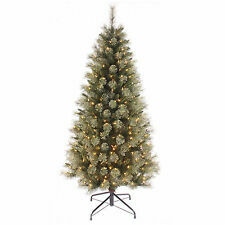 Deluxe Green Lovely Full Christmas Tree , Pre - Lit LED , 4ft / 5ft / 6ft Xmas ! 6FT WHITE GLITER TIP TREE. (6ft) tree, diam. EX DISPLAY ITEM, BOX TATTY. With natural brown & snowy finish, you can create a beautiful centerpiece, while lighting up any space. 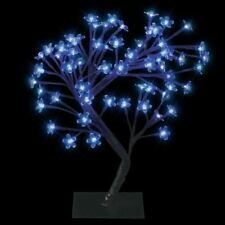 Table Top Snowy LED Tree: 60cm. 60cm Height. Table Top Rustic LED Tree Adding your own decorations will enhance your tree. 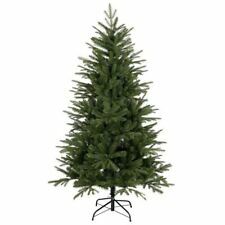 Deluxe Frosted Lovely Full Christmas Tree Pre - Lit LED 4ft / 5ft / 6ft Xmas ! Cheapest on Ebay! Free Next Working Day Delivery! 220cm (7ft 3") Tall. >> Blossom / Lit Trees. Includes snow tiped / flocked effect. > Christmas Trees. > Christmas Lights. Spacing Saving Pencil Christmas Tree. > Christmas Decorations. Just 60cm wide at the widest point. Snowy effect. The cable is 5m long which is longer than most others prelit trees and tree can be used indoor and outdoor only. With a natural snow effect finish on the branches and 120 LED Warm white lights you can create your very own elegant winter wonderland indoors and outdoors! 7FT GOLD GLITER TIP TREE. (7ft) tree, diam. EX DISPLAY ITEM, BOX TATTY. > Christmas Trees. > Christmas Lights. > Christmas Decorations. There's no hidden extras, or nasty surprises. Just high quality products at affordable prices. Cheaper Online Ltd are based in Lancashire, UK. Along with Santa Claus and a turkey dinner, a true British Christmas isn't quite complete without a Christmas tree. The traditional fir tree has been associated with Christmas celebrations for thousands of years and as the festive season approaches, it takes centre stage in homes across the world. Often adorned with baubles and glittering details, Christmas trees are the focal point of Christmas decoration, whether in the home, outdoors or in public spaces. It's also traditional to place gifts under the Christmas tree, ready for opening on Christmas day, making it an even more exciting centrepiece when it comes to the most magical time of the year. Christmas trees come in all shapes and sizes, so the best one for you will depend on the space you have to fill and the finished look you'd like to go for. Artificial Christmas trees are designed to look just like the real thing, without the hassle of falling pine needles and that natural smell. You can find a range of coloured artificial Christmas trees from classic evergreen to contemporary white or black, fitting in with your decor seamlessly and providing a modern alternative to a traditional custom. Fibre optic Christmas trees have built in lights, making them convenient and simple to set up, giving you all the sparkle you need instantly. Whether you opt for classic warm light or a multi coloured option, fibre optic Christmas trees are a popular, fuss free option that can be enjoyed year after year. Pre lighted trees are similar to fibre optic trees in that they have built in lights, but pre lighted trees tend to have larger light bulbs attached giving a more traditional feel. With a pre lighted tree, you don't need to get tangled up with seperate lights, you can simply plug in the tree, adorn it with any extra details and away you go! Of course, Christmas trees don't always have to emulate the traditional fir tree. Alternative Christmas trees such as weeping willow or twig trees are a great modern twist on the classic favourite and can often be slotted into smaller spaces in the home.